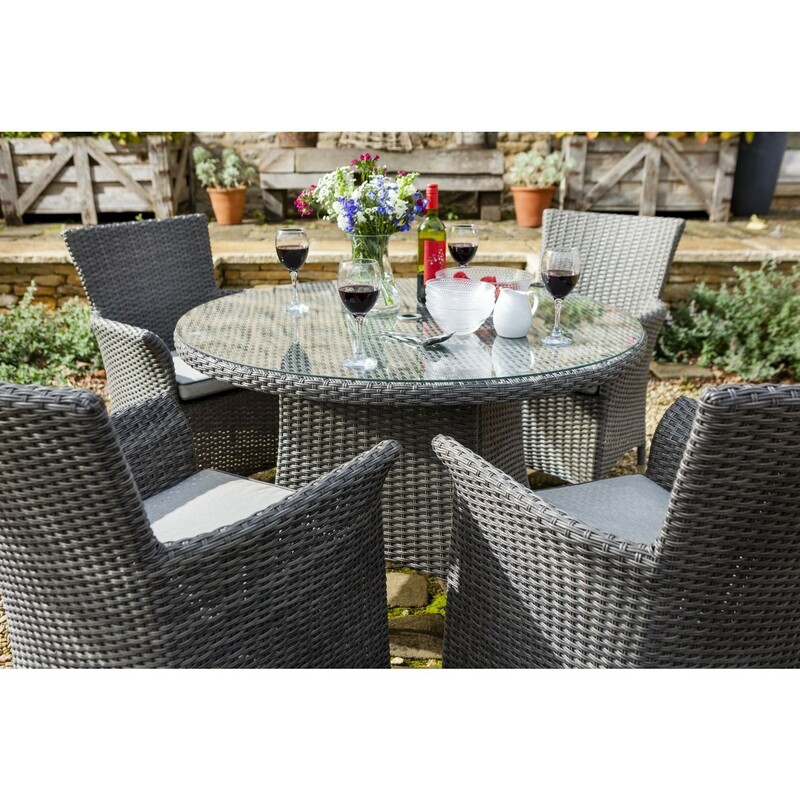 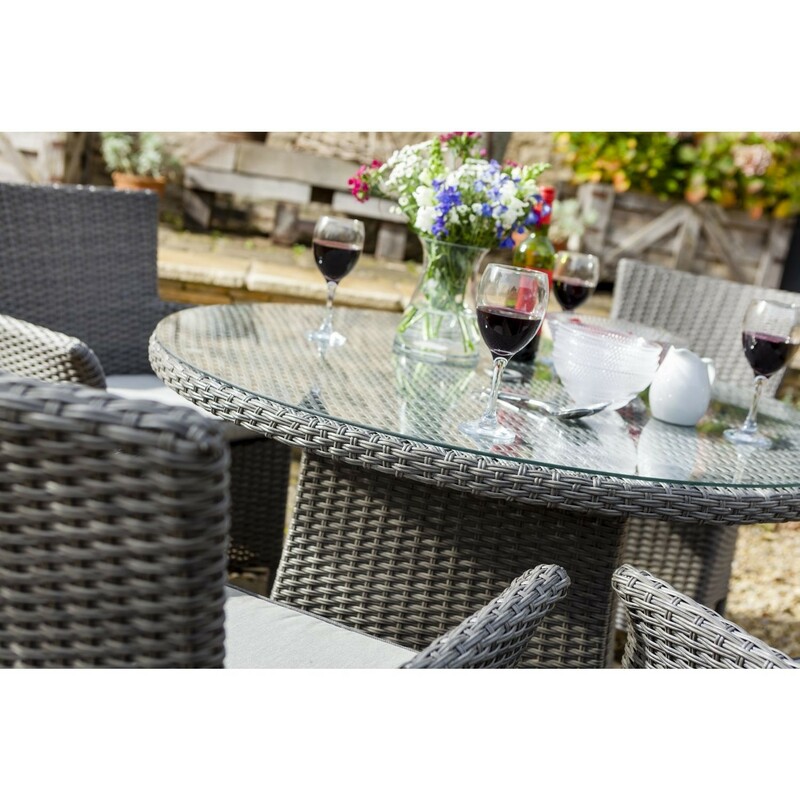 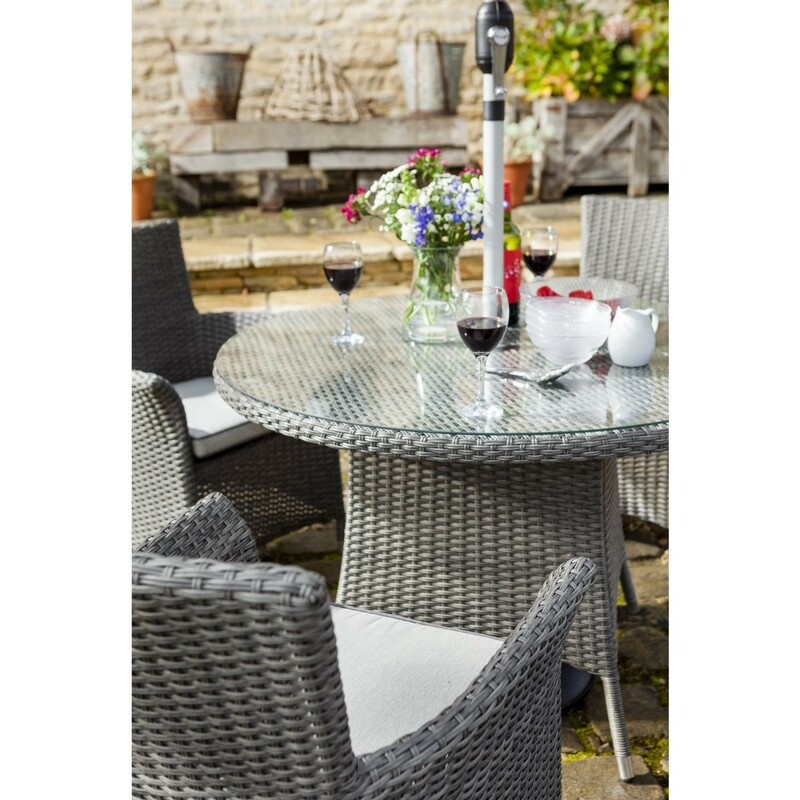 The Casa 4 Seater Round Set is perfectly sized for four people to wine and dine in the sun or have breakfast al-fresco on those warm summer mornings. 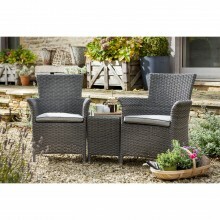 The chunky arms and luxury seat pads mean you can relax in the garden all day long! This set features ‘weather ready’ cushions, meaning that it is not only UV protected so it will never fade but it is also completely waterproof. 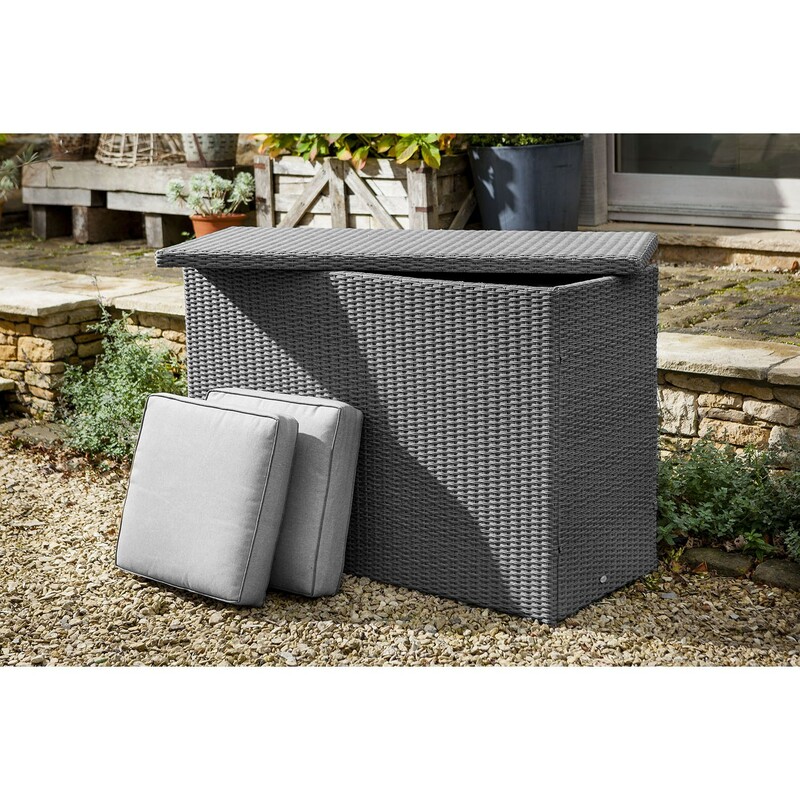 If it rains, water will run straight through the cushion and out, keeping it dry. 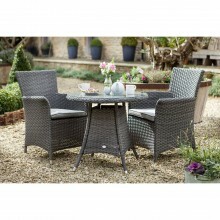 This means that you can leave your cushion outside all year round, as well as your furniture. 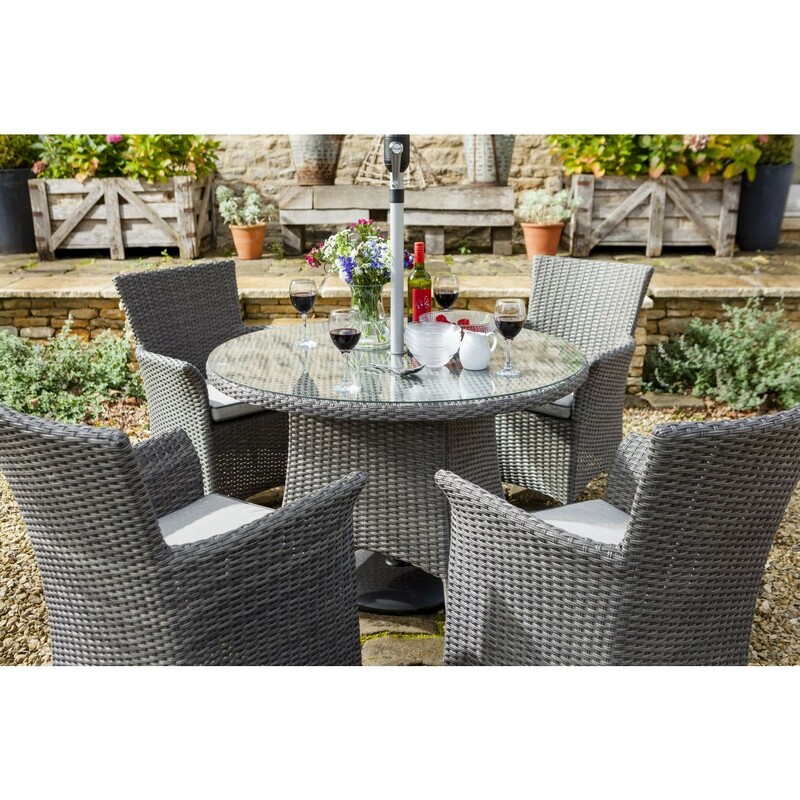 The Casa range offers a wide selection of mix and match sets ranging from two seater bistro sets to comfy corner sofas and definitely has something to suit all families!